Occasion: Wedding Gift, Birthday Gift. 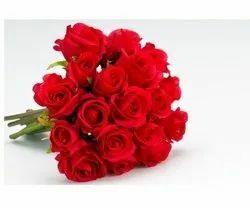 150 Roses in a Heart Shape Send an wonderful arrangement of 150 Red Roses in a Heart Shape to your Sweetheart in India. A combination of red and yellow roses that look absolutely ROYAL! Our company holds vast experience in this domain and is involved in offering Flower Bouquet. This is a charming Bunch of 12 Colorful Roses (3 Yellow, 3 Pink, 3 Red) with green fillers and tied in pink ribbon.